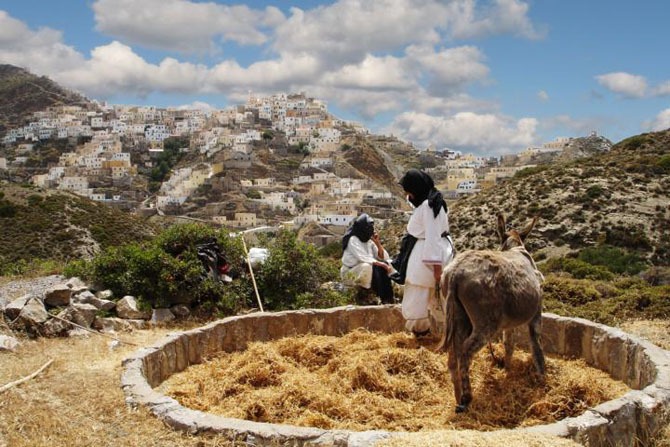 If you heard that people in this village preserve traditions, are dressed in traditional costumes and bake in a wood oven in an amazing landscape, wouldn't you like to see this place with your own eyes? 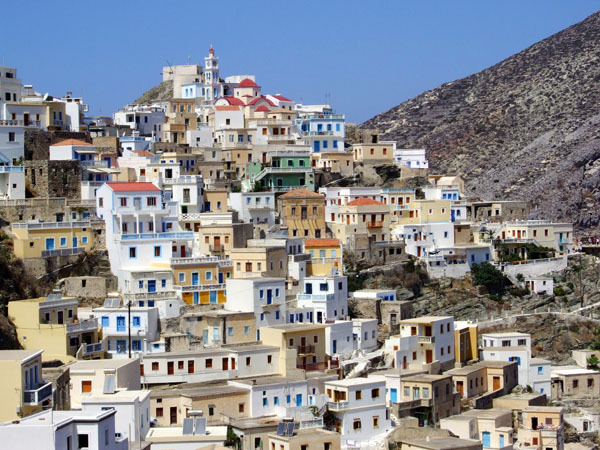 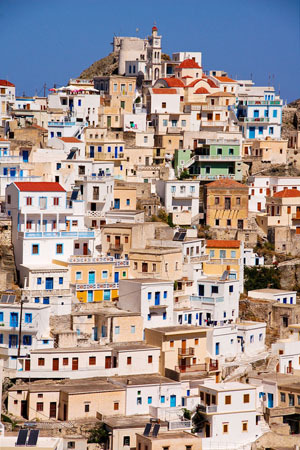 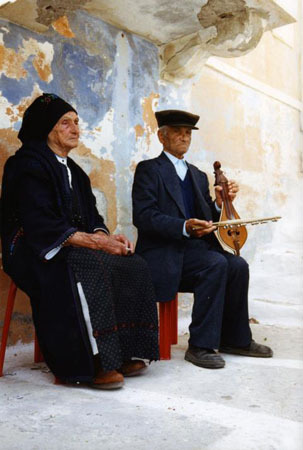 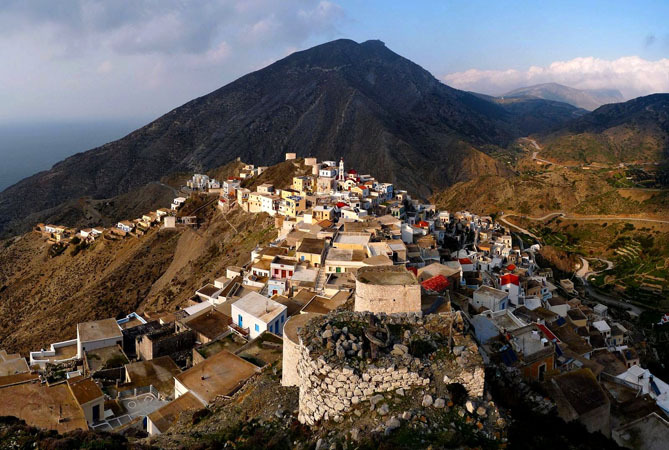 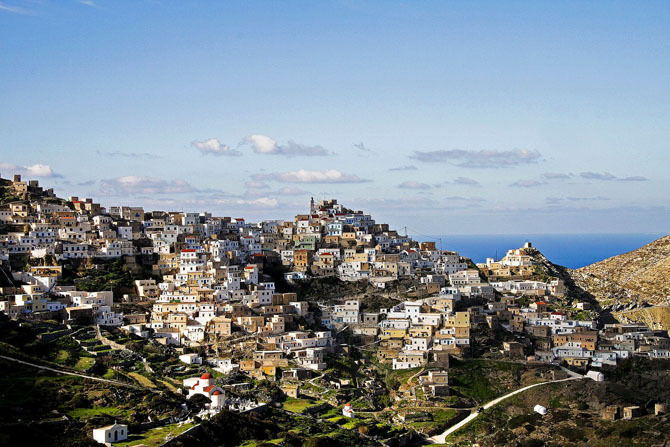 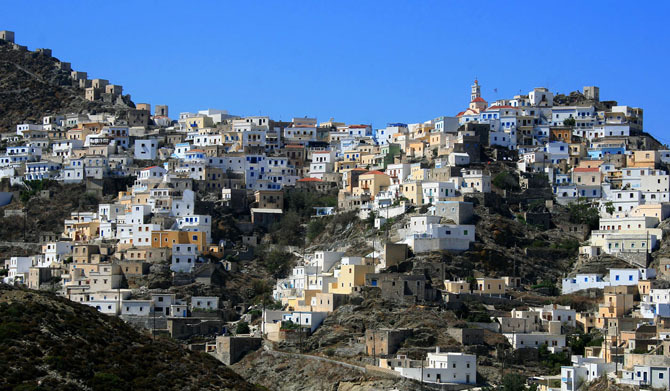 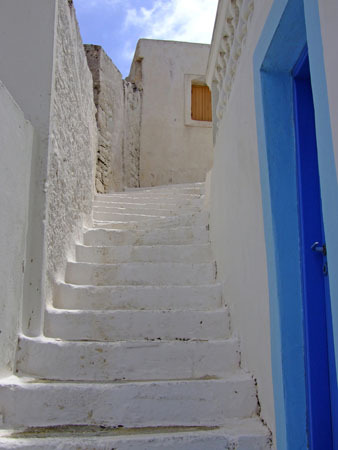 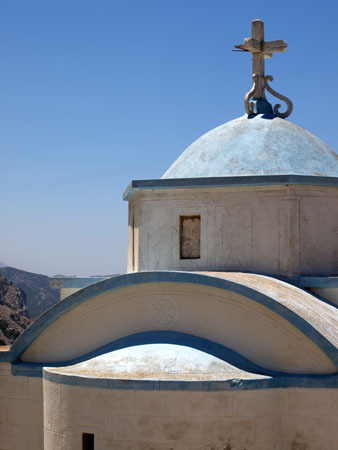 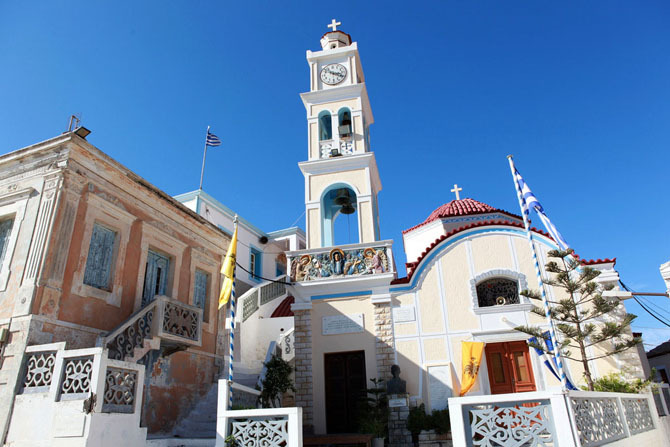 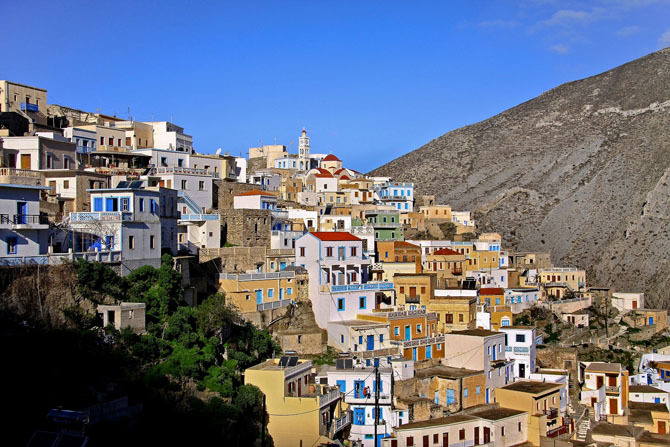 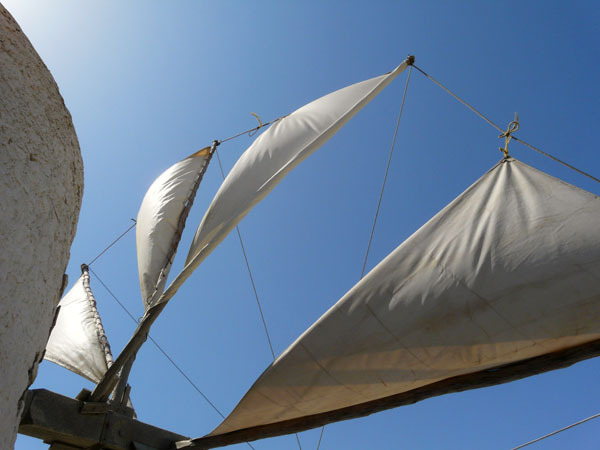 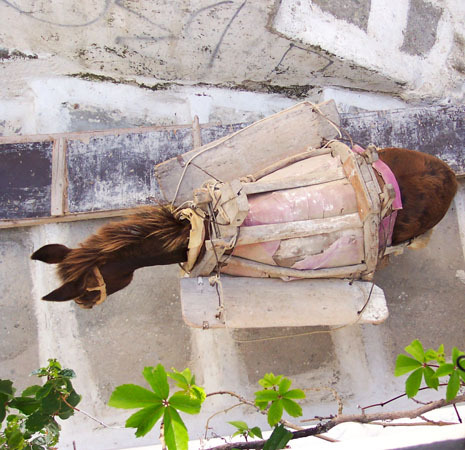 Olympos is the most popular and traditional settlement of Karpathos. 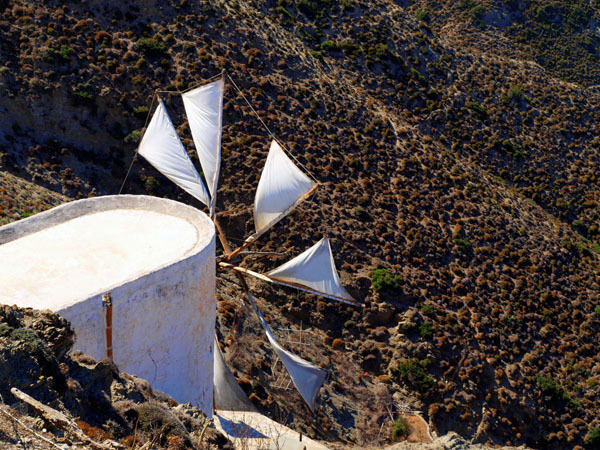 Amphitheatrically built on the foothills of Mount Profitis Ilias and at approximately 250m in altitude, seems to be hanging from the edge of the cliff. 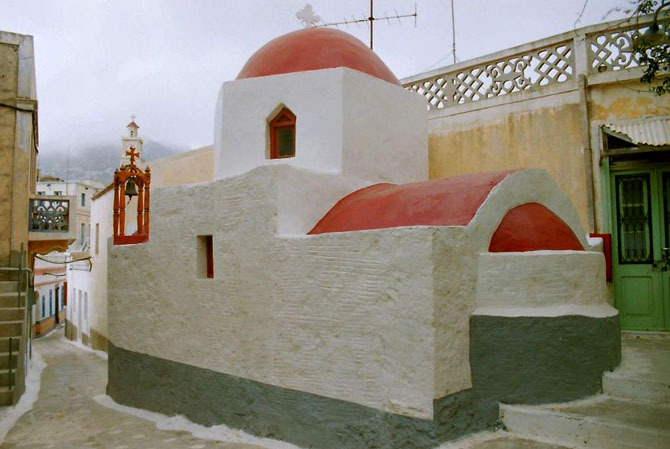 Olympos extents in the northern part of the island isolated from the rest villages. 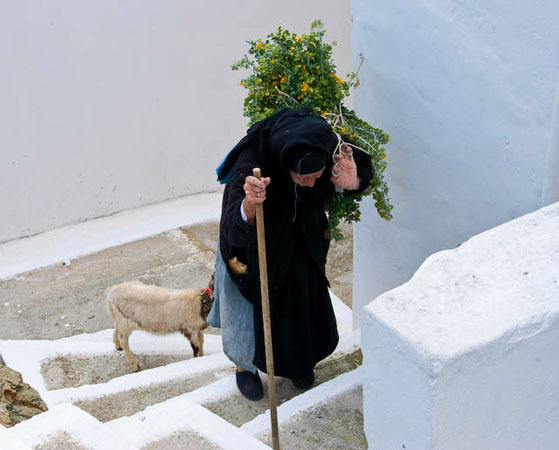 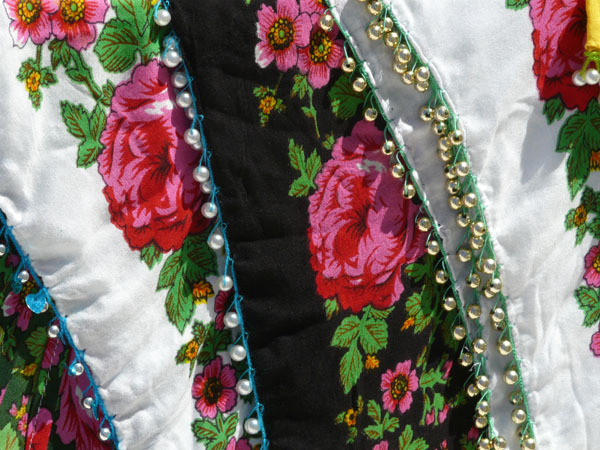 Perhaps this is the reason why its inhabitants hold their traditions with devotion by wearing their fancy costumes, speaking the local jargon and cooking traditional dishes. 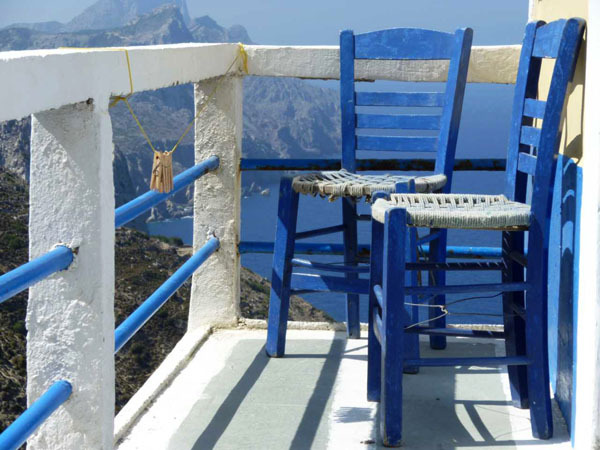 If you find yourself in Olympos, the view to the sea will take your breath away. 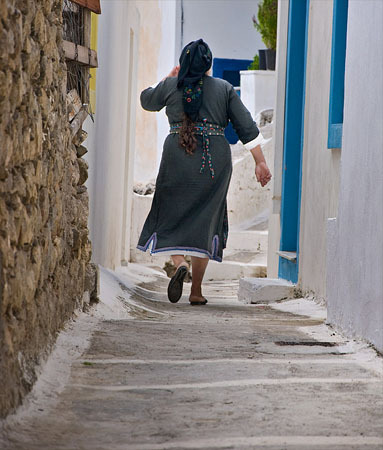 Wander around the picturesque village, where time stands still. 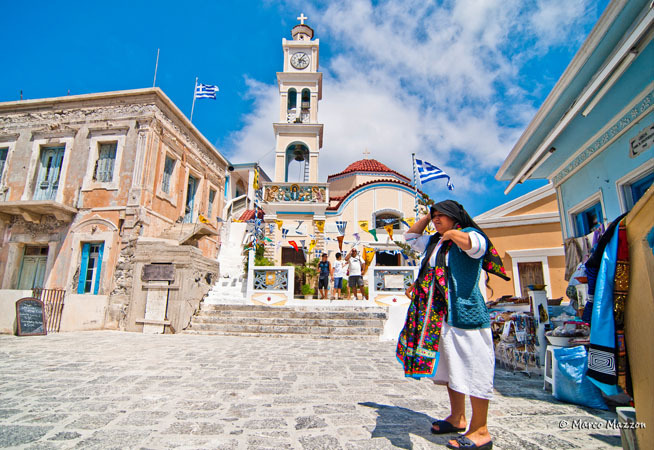 Go for a walk in its uphill alleys, discover the enthralling corners of the settlement and visit the village's square, Makrymita, where you can rest and enjoy local dainties in the coffee houses. 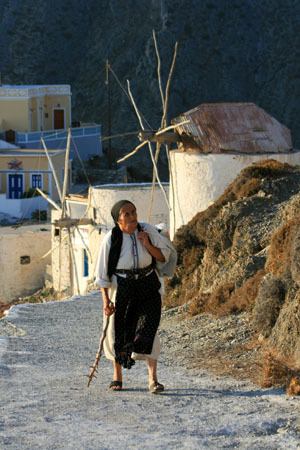 Moreover, you will encounter a line of windmills towering just outside the village contributing to the traditional image of the settlement. 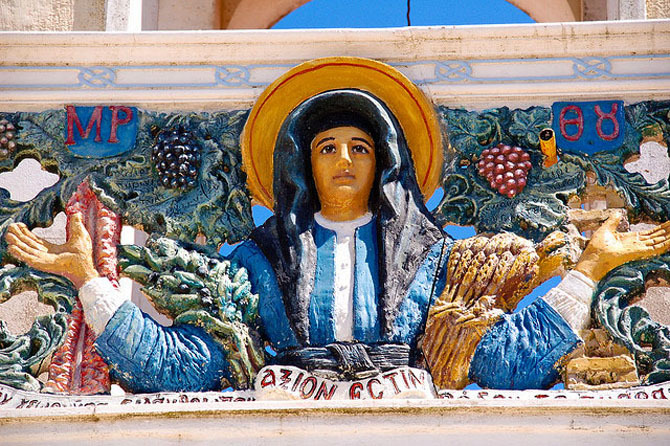 Several of which are used even today by the locals to produce flour. 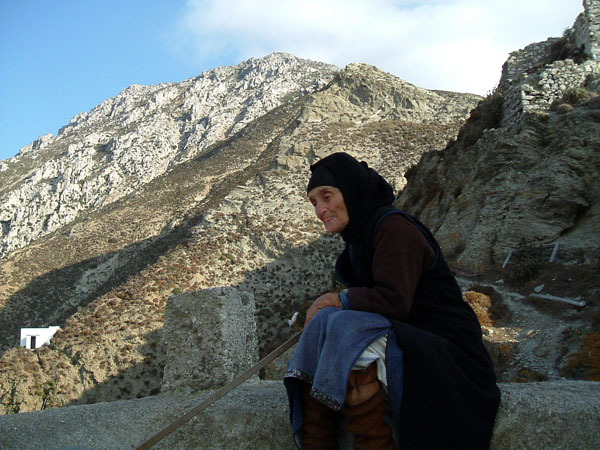 The road to Olympos is still gnarled. 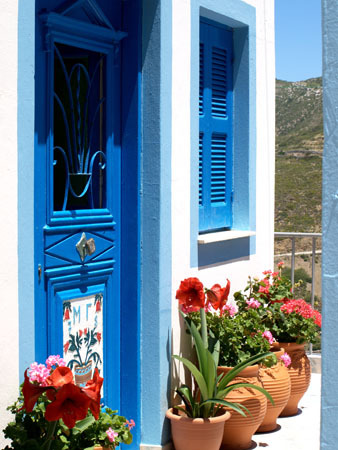 You can access the village either by car or by boat till the nearby Diafani and then by bus. 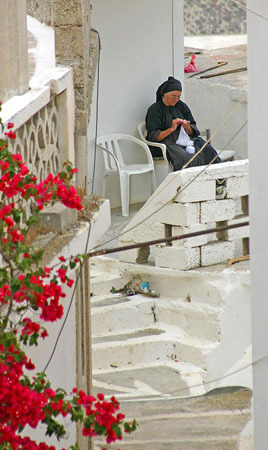 Due to the poor accommodation facilities of the village, it is recommended for a day's outing. 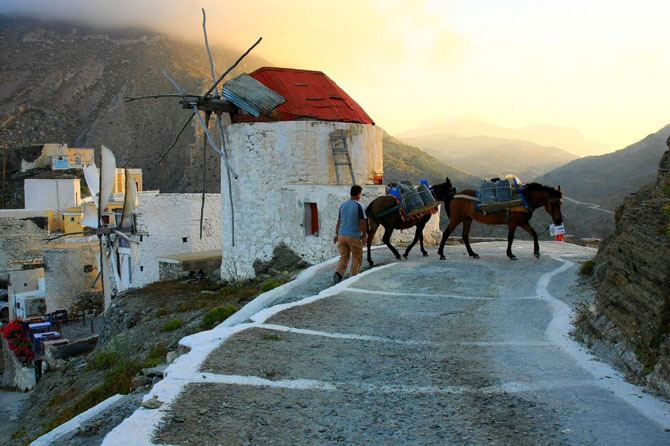 If you find yourself here in the evening, you will enjoy the magnificent sunset.